Lithuania's defence system is based on the concept of "total and unconditional defence" mandated by Lithuania's National Security Strategy. The goal of Lithuania's defence policy is to prepare their society for general defence and to integrate Lithuania into Western security and defence structures. The defence ministry is responsible for combat forces, search and rescue, and intelligence operations. The 4,800 border guards fall under the Interior Ministry's supervision and are responsible for border protection, passport and customs duties, and share responsibility with the navy for smuggling / drug trafficking interdiction. A special security department handles VIP protection and communications security. Lithuania abolished its conscription in 2008. In May 2015 the Lithuanian parliament voted to return the conscription and the conscripts started their training in August 2015. The Lithuanian Armed Forces consist of the Lithuanian Land Force, Lithuanian Air Force, Lithuanian Naval Force, Lithuanian Special Operations Force and other units: Logistics Command, Training and Doctrine Command, Headquarters Battalion, Military Police. Directly subordinated to the Chief of Defence are the Special Operations Forces and Military Police. The Reserve Forces are under command of the Lithuanian National Defence Volunteer Forces. Soldiers from MIB "Iron Wolf" during training. The core of the Lithuanian Land Force structure is the Iron Wolf Mechanised Infantry Brigade (MIB "Iron Wolf") consisting of three mechanized infantry battalions (Grand Duke Kestutis mechanized, Lithuanian Grand Duke Algirdas mechanized and Grand Duke Vaidotas mechanized battalions) and artillery battalion. Other units include King Mindaugas Hussar Battalion, Grand Duchess Birute Uhlan Battalion, Grand Duke Butigeidis Dragoon Battalion, Juozas Vitkus Engineer Battalion and Juozas Luksa Land Force Training Center. The Lithuanian Land forces are undertaking a major modernization. New weapons and heavier armour are going to be acquired. In 2007 the Land forces bought the German Heckler & Koch G36 rifle to replace the older Swedish Ak-4 as main weapon. There are plans to buy new Infantry fighting vehicles. Lithuania is determined to restructure the armed forces so that from the end of 2014, one tenth of the Land Forces could at any given time be deployed for international operations, while half of the Land Forces would be prepared to be deployed outside Lithuania's borders. The volunteers have already successfully participated in international operations in the Balkans, Afghanistan and Iraq. The NDVF consists of six territorial units. The initial formation of the LAF was the 2nd transport squadron with the transfer of 20 An-2 aircraft from civilian to military use, with initial basing at the Barushai air base on 27 April 1992. These were joined by four L-39C Albatros aircraft purchased from Kazakhstan as part of the intended 16 to be used by the 1st fighter (training) squadron. Mil Mi-8 helicopters were modernised by LAF (extended fuel tanks and avionics). In 2008 2 medium-range radars were acquired for the Air Forces Airspace Surveillance and Control Command. Air space is patrolled by jet fighters from other NATO members, which are based out of the city Šiauliai (Zokniai Airport, known as the Aviation base) (see Baltic Air Policing). The European Union's External border (with Kaliningrad and Belarus) is patrolled by Aviation Unit of the Lithuanian State Border Guard Service which received new helicopters EC-120, EC-135 and EC-145. The Navy has over 600 personnel. The Navy consists of the Warship Flotilla, the Sea Coastal Surveillance System, the Explosive Ordnance Disposal (EOD) Divers Team, the Naval Logistic Service, Training Center and Maritime Rescue Coordination Center. The flotilla is the core component of the Navy, and consists of the Mine Countermeasures Squadron, the Patrol Ships Squadron, and the Harbour Boats Group. The current Commander in Chief of the Lithuanian Navy is Rear Admiral Kęstutis Macijauskas. The Naval base and Headquarters are located in the city of Klaipėda. The Navy uses patrol ships for coastal surveillance. The four newly acquired Flyvefisken class patrol vessels replaced the older Storm class patrol boats and Grisha class corvettes. The Lithuanian Special Operations Force of Lithuanian Armed Forces has been in operation de facto since 2002 and it was established de jure on 3 April 2008, when amendments of National Defence System organisation and military service law came into force. The Special Operations Force is formed from the Special Operations Unit. The Special Operations Force is responsible for special reconnaissance, direct actions, and military support. It is also in charge of other tasks, e.g., protection of VIPs in peacetime. Its core is based on the Special Purpose Service, Vytautas the Great Jaeger Battalion and Combat Divers Service. Lithuanian Air Force Special Operations Element is subordinate to the Unit at the level of operations management. Its structure is flexible which makes it easy to form squadrons intended for concrete operations and missions from its elements. The Special Operations Force can be called upon inside the territory of Lithuania when law enforcement agencies lack or do not have necessary capabilities to react to terrorist attacks. Capabilities of special forces makes them the main national response force responsible for counter-terrorism operations and operations to prevent violations of sovereignty. The Special Operations Force Squadron "Aitvaras" was deployed to Afghanistan on the operation "Enduring Freedom". From 2005 to 2006 its squadrons were on standby in NATO Response Force. Soon after restoration of independence, Lithuania applied for NATO membership in January 1994. Together with another six Central and Eastern European countries, Lithuania was invited to join the North Atlantic Treaty Organization in the 2002 Prague summit and became a member of the Alliance in March 2004. Lithuania entered NATO on full-fledged rights immediately after the procedures of joining the North Atlantic Treaty were completed and acquired rights to participate in the political decision-making process of the Alliance. Integration into the military structures of NATO became a long-term task of Lithuanian Armed Forces. Mechanised Infantry Brigade "Iron Wolf" was affiliated to the Danish Division on the basis of agreements signed by Denmark and Lithuania in August 2006. Lithuanian Armed Forces started to boost ability of the Brigade to cooperate with the forces of other NATO members. As Lithuania and the other Baltic states do not have capabilities to secure their airspace, fighter jets of NATO members were deployed in Zokniai airport near the city Šiauliai to provide cover for the Baltic states airspace as soon as Lithuania acquired membership in the Alliance. Joint military educational institutions: Baltic Defence College (BALTDEFCOL) in Tartu, Estonia, Baltic Diving Training Centre in Liepāja, Latvia and Baltic Naval Communications Training Centre in Tallinn, Estonia. In January 2011, the Baltic states were invited to join NORDEFCO, the defence framework of the Nordic countries. In November 2012, the three countries agreed to create a joint military staff in 2013. Future co-operation will include sharing of national infrastructures for training purposes and specialisation of training areas (BALTTRAIN) and collective formation of battalion-sized contingents for use in the NATO rapid-response force. Lithuanian soldiers have taken part in international operations since 1993. Since the summer of 2005 Lithuania has been part of the International Security Assistance Force in Afghanistan (ISAF), leading a Provincial Reconstruction Team (PRT) in the town of Chaghcharan in the province of Ghor. The PRT includes personnel from Denmark, Iceland and US. There have also been special operation forces units in Afghanistan. They were placed in Kandahar province. Since joining international operations in 1993 Lithuania has lost two soldiers. 1st Lt. Normundas Valteris fell in Bosnia (17 April 1996), Sgt. Arūnas Jarmalavičius in Afghanistan (22 May 2008). As of this edit, this article uses content from "Lithuanian Armed Forces", authored by Ministry of National Defence Republic of Lithuania, which is licensed in a way that permits reuse under the Creative Commons Attribution-ShareAlike 3.0 Unported License, but not under the GFDL. All relevant terms must be followed. ^ "Ministry of National Defence numbers and facts". ^ "J.V.Žukas: mūsų planai – turėti raketinės artilerijos divizioną". ^ "Compulsory basic military service discontinued". Ministry of National Defence. ^ "Conscription notices to be sent to 37,000 men in Lithuania". ^ "Lietuvos Respublikos krašto apsaugos ministerija :: Titulinis" (PDF). Retrieved 24 December 2014. ^ "Litauen återinför allmän värnplikt | Utrikes" (in Swedish). svenska.yle.fi. 24 February 2015. Retrieved 3 March 2017. ^ "Värnplikten är tillbaka i Litauen - hård konkurrens om platserna | Utrikes" (in Swedish). svenska.yle.fi. 25 August 2015. Retrieved 3 March 2017. ^ "Lithuanian Armed Forces :: Structure " Air Force". Ministry of National Defence, Republic of Lithuania. Retrieved 24 December 2014. ^ "Lithuanian Armed Forces :: Structure " Navy". Ministry of National Defence, Republic of Lithuania. Retrieved 24 December 2014. ^ "Lithuanian Armed Forces :: Structure " Navy " Command". Ministry of National Defence, Republic of Lithuania. Retrieved 24 December 2014. ^ "Ministry of National Defence Republic of Lithuania". Retrieved 24 December 2014. ^ a b c "Lithuanian Armed Forces :: Structure " Special Forces". Retrieved 24 December 2014. ^ "Ministry of National Defence Republic of Lithuania :: News " News archives " News archive 2009 " News archive (2009–03)". Retrieved 24 December 2014. ^ "Baltic Defence Co-operation". Estonian Ministry of Foreign Affairs. January 2002. Archived from the original on 5 August 2011. Retrieved 11 August 2012. ^ "Nordic Countries Invite Baltics to Join Defence Co-operation Framework". Estonian Ministry of Foreign Affairs. 21 January 2011. Archived from the original on 8 June 2012. Retrieved 11 August 2012. ^ "Baltic Defence Ministers announced new defence cooperation initiatives". Ministry of National Defence, Republic of Lithuania. 12 December 2011. Retrieved 11 August 2012. ^ "Lithuanian Armed Forces :: Multinational operations " In remembrance". Ministry of National Defence, Republic of Lithuania. Retrieved 24 December 2014. ^ "LK Gynybos štabas » Vykdomos TO". www.jungtinisstabas.lt. ^ Vireliūnaitė, Lauryna (31 August 2016). "Kariuomenė keistai nuolaidžiauja „Nota Bene": pirktos palapinės tiko ir be priedų". 15 min. Archived from the original on 7 November 2017. ^ Naprys, Ernestas (11 April 2017). "„Auksiniai šaukštai" nepamokė: Lietuvos karius už milijonus eurų rengia tarpininkai ir įmonės be darbuotojų". 15 min. Archived from the original on 7 November 2017. ^ Čerkauskas, Martynas (25 October 2013). "180 milijonų už sraigtasparnius. Ar Lietuva nepermokėjo?". Archived from the original on 7 November 2017. ^ "Virtuvės įrankiai aštuoniskart brangiau". Viešųjų pirkimų tarnyba. 30 August 2016. Archived from the original on 7 November 2017. ^ Baltic News Service (13 September 2016). "Pirminė virtuvės įrankių kariuomenei tiekėja prisipažino: kaina toli gražu ne tokia, kokia mes pardavėm". Delfi.lt. Archived from the original on 7 November 2017. Wikimedia Commons has media related to Military of Lithuania. The Latvian National Armed Forces are the armed forces of the Republic of Latvia. Latvia's defense concept is based on a mobile professional rapid response force and reserve segment that can be called upon relatively fast for mobilization should the need arise. The National Armed Forces consists of Land Forces, Naval Forces, Air Force and National Guard. Its main tasks are to protect the territory of the State; participate in international military operations; and to prevent threats to national security. Latvian Air Force is the aviation branch of the National Armed Forces. The first Air Force (AF) units were established 1992. It has no air combat capability, thus the defense of Latvian air space is maintained by NATO, with rotating detachments of four aircraft to Lithuania at four-monthly intervals. The Estonian Navy, is the name of the unified naval forces among the Estonia Defence Forces. Mechanized Infantry Brigade "Iron Wolf" is the core unit of the Lithuanian Army and forms the country's contribution to NATO collective defence. The name of the brigade relates to the Lithuanian mythical character from the medieval foundation legend of the Vilnius city. The Lithuanian Air Force or LAF is the military aviation branch of the Lithuanian armed forces. It is formed from professional military servicemen and non-military personnel. Units are located at Šiauliai military airfield near the city Šiauliai, at Radviliškis and Kaunas. The Estonian Air Force is the aviation branch of the Estonian Defence Forces. The air force traces its history to 1918, and was re-established in its current form in 1991. The Estonian Defence Forces is the unified armed forces of the Republic of Estonia. The Estonian military is a defence force consisting of Land Forces, Navy, Air Force, and a paramilitary organization Defence League. The national defence policy aims to guarantee the preservation of the independence and sovereignty of the state, the integrity of its land area, territorial waters and airspace and its constitutional order. Its main goals remain the development and maintenance of a credible capability to defend the nation's vital interests and development of the defence forces in a way that ensures their interoperability with the armed forces of NATO and European Union member states to participate in the full range of missions for these military alliances. The Air Defence Battalion is the main air defence unit of the Lithuanian Air Force. It was created as part of efforts to strengthen and organise the air defence capabilities of the Lithuanian Air Force (LTAF), in 2000. Latvian Naval Forces is the naval warfare branch of the National Armed Forces. It is tasked with conducting military, search and rescue operations, mine and explosive sweeping on the Baltic Sea, as well as ecological monitoring activities. The Naval Forces have participated in international NATO/Partnership for Peace operations and various exercises with great success. The main development priorities of the Naval Forces are to expand their activities within the Baltic States’ Ship Squadron BALTRON and to develop a Sea Surveillance System. They pay a great deal of attention to professionally specialized training and English-language teaching. The Lithuanian Navy is the naval arm of the Lithuanian Armed Forces. Though formally established on 1 August 1935 its roots stretch back as far as naval engagements on the Baltic Sea in the Medieval period. 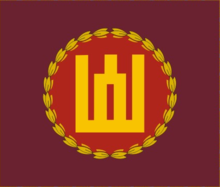 Lithuanian naval units saw some service with Soviet naval forces during World War II, and the navy has been re-established in its own right and continues to expand since Lithuania's independence in 1990. The Airspace Surveillance and Control Command is a branch of the Lithuanian Air Force responsible for surveillance and control the airspace of Lithuania. While implementing resolutions of the Parliament of the Republic of Lithuania concerning Principal Structure of the Lithuanian Armed Forces and Armed Forces’ development plans, the Lithuanian military have expanded and increased defence capabilities. Therefore, the Air Surveillance and Control Command has also evolved. Presently, five radar posts have been established to monitor Lithuanian air space. The command cooperates with governmental enterprise "Air Navigation", Governmental Board Security Service and other institution. The National Defence Volunteer Forces or NDVF is an important part of the Lithuanian Armed Forces. Volunteer forces were officially established on 17 January 1991 by the law of the Supreme Council of Lithuania on the National Defence Volunteer Service providing basis for establishing Voluntary National Defence Service. This decision made legal already existing volunteer formations that began appearing as early as 1990. Voluntary National Defence Service was reorganised into the National Defence Volunteer Force. In 2003 Volunteer Force was integrated into the Lithuanian Land Force. Tasks of volunteer soldiers were inevitably altered when Lithuania became a full-fledged member of NATO: approach of territorial defence was changed into territorial defence and training of modern active reserve. There are around 5000 volunteers and around 800 professional soldiers in the force. The Lithuanian Special Operations Force (LITHSOF) is a special operation unit of the Lithuanian Armed Forces, formed exclusively of carefully selected, motivated and specially trained professionals. The main tasks of the Special Operations Force are counter terrorism, special reconnaissance, and hostage rescue. Šiauliai Air Base is a Lithuanian Air Force base located near Šiauliai. Since 2004, it has been one of the bases of the Baltic Air Policing mission. It is connected to Šiauliai International Airport.